We formulate principal positions of a non-Hermitian model with a γ5-extension of the fermion mass, which are often neglected in investigating this subject. A consistent approach to this problem requires the constraint m ≤ M, where M bounds the entire fermion mass spectrum. An analogous approach was proposed in the geometric model, which can be regarded as the first PT-symmetric non-Hermitian fermion model with a γ5-extension of mass. Exotic particles appear in both these theories. 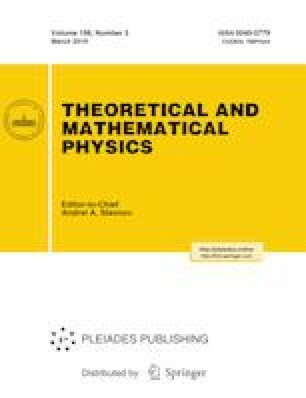 A detailed consideration of the properties of these particles allows conjecturing that they are possible candidates in the structure of dark matter. We also discuss a simple estimate for determining the maximum admissible value of the fermion mass M.
Prepared from an English manuscript submitted by the authors; for the Russian version, see Teoreticheskaya i Matematicheskaya Fizika, Vol. 198, No. 3, pp. 473–488, March, 2019.